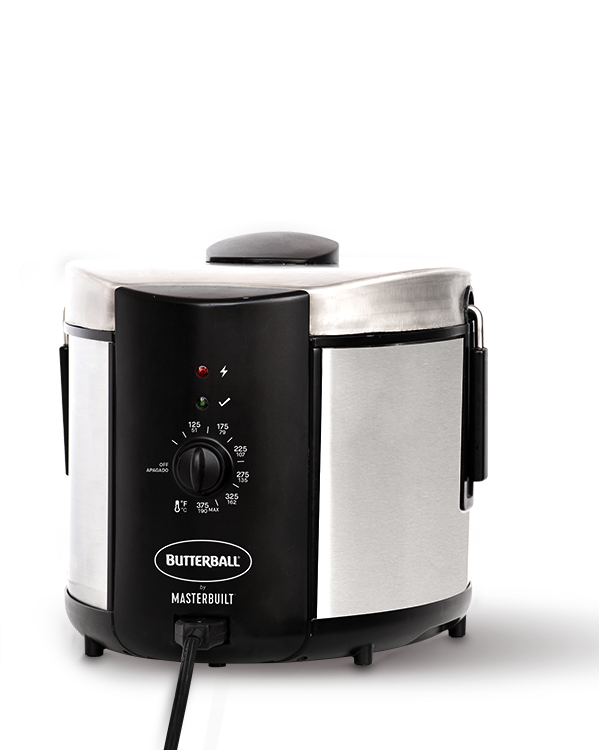 Fry, steam, or boil your favorite foods with the Butterball Electric Fryer by Masterbuilt. Prepare delectable fried appetizers, create a hearty balanced meal with steamed vegetables, or enjoy the ultimate fried turkey dinner. Clean-up is easy with dishwasher safe components. How long should I fry a turkey? Fry your turkey for 3 1/2 to 4 minutes per lb. The internal temp should be 165 degrees in the breast and 180 degrees in the thigh. What type of oil is recommended? How do I clean my fryer? Sign up to receive updates, recipes, tips and more.